As another new year unfolds, you may be thinking about how to get ahead this year by saving money and controlling your spending. Kakebo is an ancient and traditional Japanese method of money management that is still widely used today. Cleverly designed a bit like a diary, this handy guide helps you learn to manage your personal budget by recording all daily expenses week by week – so you can see exactly where your money goes. At the beginning of each month, you enter your fixed incoming funds and outgoing expenses, and set a savings target. Then, each day you record your various expenses (which are divided into four categories). You can begin at any time of the year, and the simple layout is inviting and easy to use. Definitely a good investment for 2019! Mindfulness is the new black, it seems. And with most of us leading increasingly busier and more stressful lives, that’s a good thing. In his new book, Dr Stan Rodski sets out the science behind some of the latest discoveries in neuroscience that prove mindfulness is more than just relaxation – it can actually help protect us against a range of life-threatening illnesses. 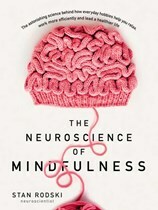 As well as examining the potentially pivotal role of mindfulness in alleviating stress and managing energy, Dr Rodski highlights the most effective mindfulness activities, guides you through quick and easy exercises, and shows you how to harness the power of mindfulness over the long term to forge mental and physical resilience – and create a happier, healthier, more compelling future. If you’re a keen fisherman or woman, you’ll know there’s nothing better than pulling over somewhere scenic, grabbing out the gear and setting up for a solid day’s fishing, or perhaps heading out on the water for a thrilling afternoon of gamefishing. As well as covering big fish, How to Catch Fish and Where: 2 includes an introduction to gamefishing, a section on trolling for trout, tackle maintenance, rod construction, lure fishing, safety, the environment and much more. It also has a guide showing where you can target big fish, an identification section for gamefish and tuna, and much more, such as preparing and processing skipjack tuna for bait. Pat ‘Pearly’ Gates has built himself a successful life – he’s the mayor of a small South Island provincial town, the co-owner of the local real estate agency, and an ex Otago rugby player. He’s popular, happily married and cuts an impressive figure – especially in his own eyes. But will his pride and complacency come before a fall? 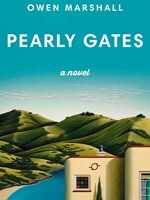 Pearly Gates seems a straightforward novel, but you’re just not sure in which direction it’ll go. There are hints of threat and impending disaster, and a strong sense that comeuppance is just around the corner. This entertaining and insightful novel from renowned Kiwi author Owen Marshall is a delightful celebration of small town New Zealand, the perfect read for lazy weekends. 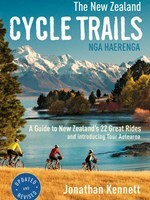 This book presents the 23 best bike trails in the North Island and South Island, breaking it down into simple-to-understand sections. It describes the grade of each track, how long it will take, where to start, where to finish, maps, food, accommodation, shortcuts and detours, what to do in emergencies; basically the whole works. It’s very helpful in a lot of situations that you wouldn’t really think about, such as how to get your bike to where you need to be, how much each service would cost to bring your bike, and the fascinating backstory behind each track. It also helps that the photos are beautiful and inspiring, giving you that extra zest to hit the track. Set in the turbulent years after the death of King Henry VIII, Tombland is the seventh in the critically acclaimed Shardlake series. Since the king’s death, Matthew Shardlake has been working as a lawyer in the service of Lady Elizabeth. The gruesome murder of the wife of a distant relation of her mother brings Shardlake and his assistant to the summer assizes at Norwich to investigate. There they are reunited with Shardlake’s former assistant Jack Barak. The three find layers of mystery and danger surrounding the death as a second murder is committed. At 860-plus pages, Tombland is not exactly a swift read, , but as fans of Shardlake will agree, it’s well worth the commitment thanks to an author who knows how to make every word count. If you’re looking for a good page-turner, you won’t be disappointed with this debut novel from Kiwi radio journalist Brandy Scott. Set in Australia, this gripping book is based around three thirty-something women who have been best friends for decades. On New Year’s Eve, the women let off sky lanterns filled with resolutions – sounds harmless enough. But as the glowing bags float away, there’s a sudden bright flare in the distance. The next day, the newspapers report a small plane crash. The women are divided over whether they were responsible. It’s a toxic recipe for guilt trips, shame, obsession, and blackmail. All the components of a ripping good yarn! In his latest cookbook, award-winning chef, restaurateur, and author Pete Evans makes eating green easy with more than 130 mouth-watering dishes that take veggies from sides to stars. Even the pickiest eater will be won over by crispy carrot fritters with garlicky yoghurt dipping sauce, simple sweet potato waffles topped with guacamole and a fried egg, or the oozy deliciousness that is eggplant parmigiana. Eat Your Greens also includes simple tips for increasing your family’s veg intake for breakfast, lunch and dinner, as well as buying and growing seasonal, organic produce, and harnessing the health benefits of different veggies.